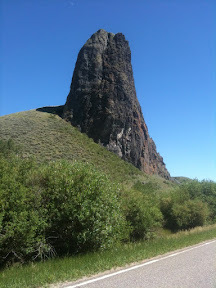 This is a huge free-standing spire looking rock. It is on the way from Oak Creek toward Vail. Highway 131.